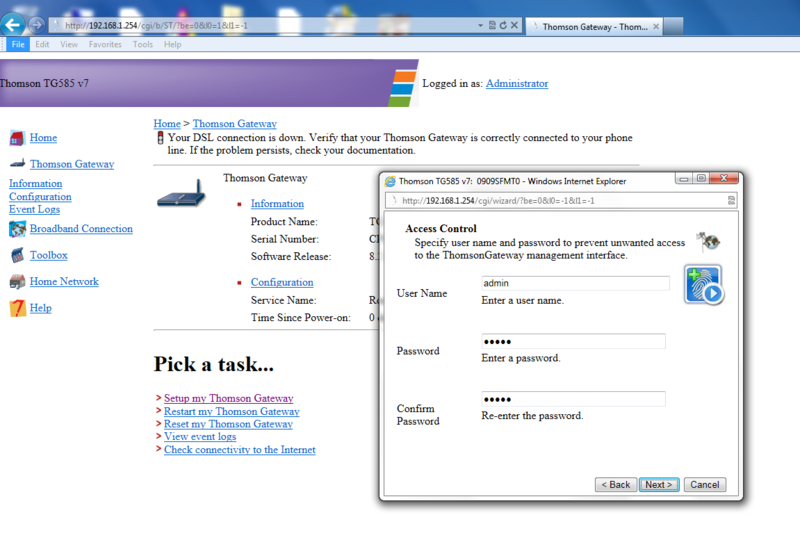 Click on the Thomson Gateway link on the left side of the screen, it will bring you to the following page below. 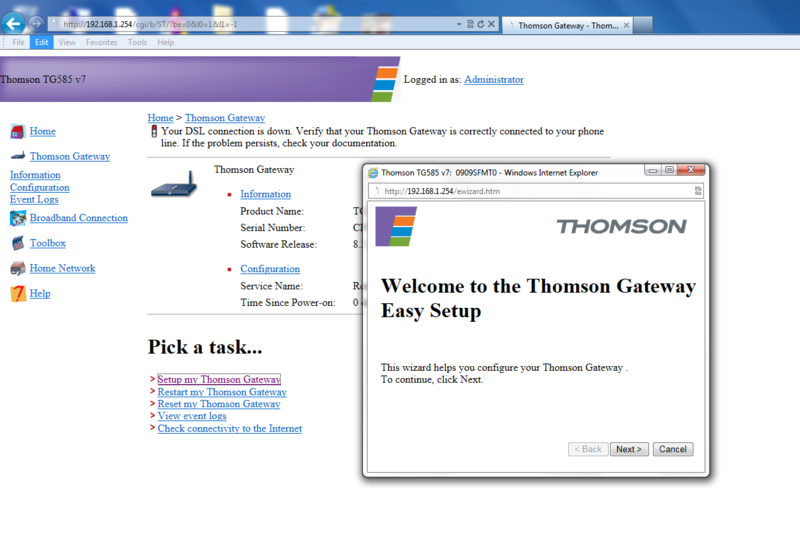 Click Setup my Thomson Gateway. Here you enter the modem setup and settings, as well as your username and password and the admin access username and password. Enter your username and password. You will have to enter your DSL password twice. Click Next. 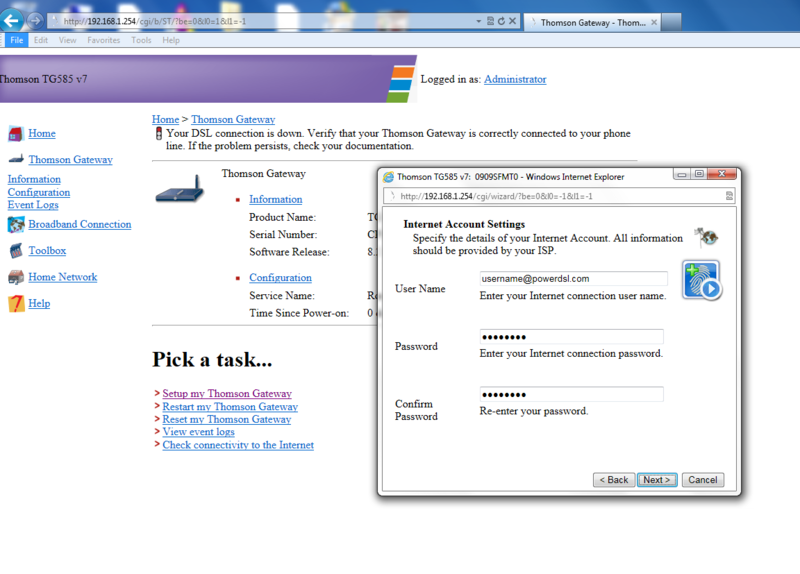 Enter the username and password so you can access the router to make changes in the future. This is not the wifi password. Often it is set to admin for both. Click start. This will run through a setup program that takes 30 to 60 seconds to run. 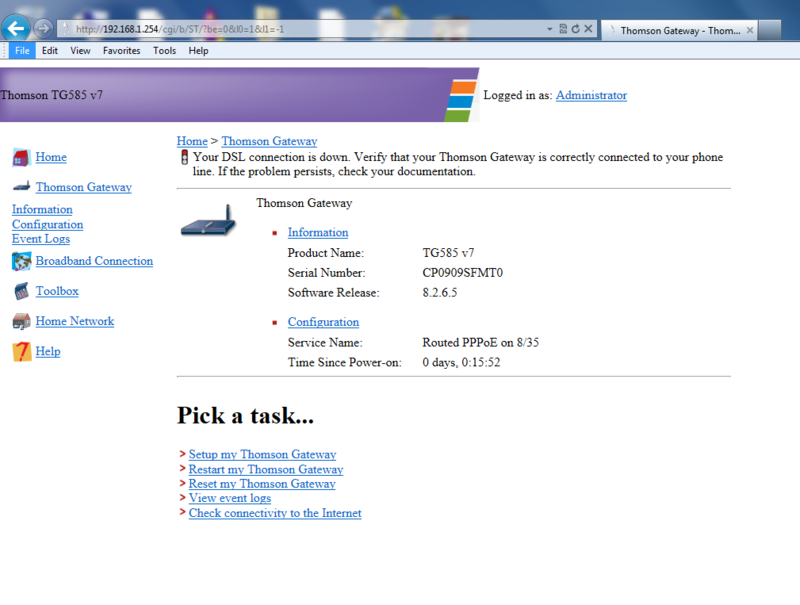 When it is done it will ask for the username and password you set above for the router. The click Finish. 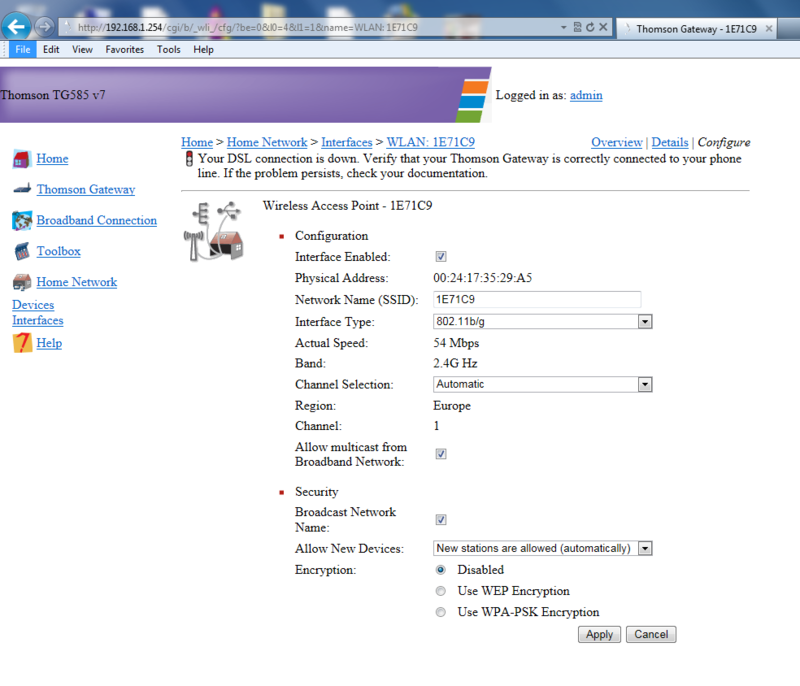 Click Configure on the top right and then change the SSID to the name you want your wireless network show up as (such as Auracom.net or SmithFamily), and the security settings. 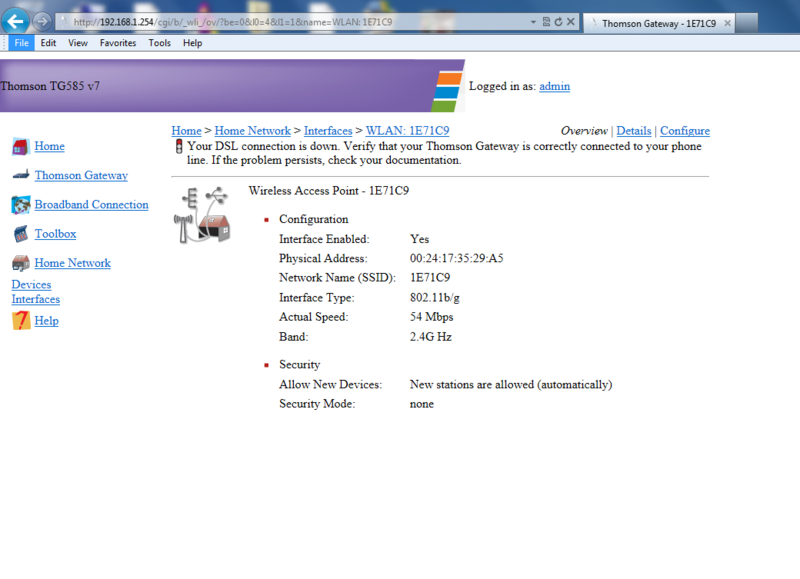 Change the Disable button at the bottom, to WEP or WPA. 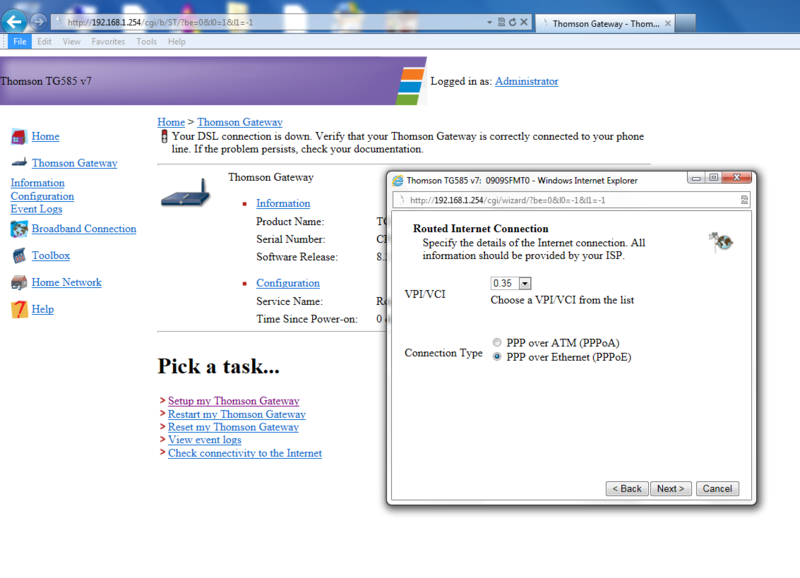 The default password located on the bottom of the modem will appear when you chose either security option. You can override it to a 10 digit password. If you don’t then the password will be the one on the bottom of the modem, which is convenient should you misplace the wireless access password. 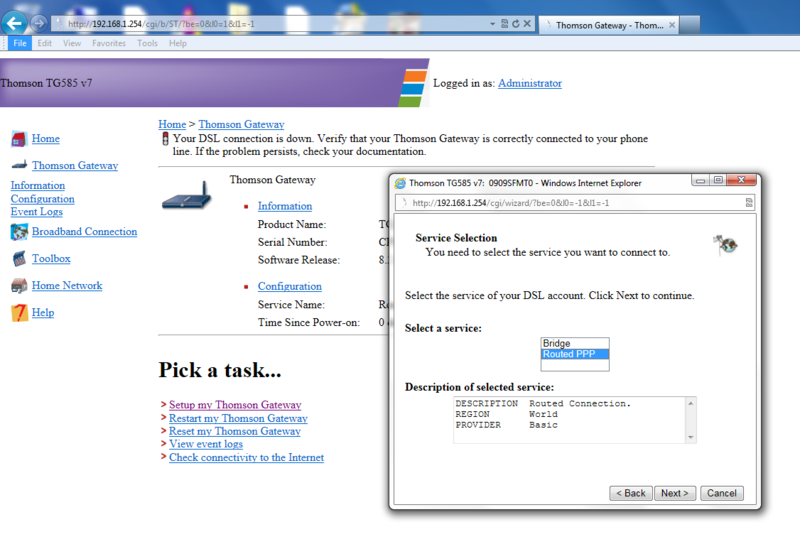 Click apply, then click Thomson Gateway on the left side. 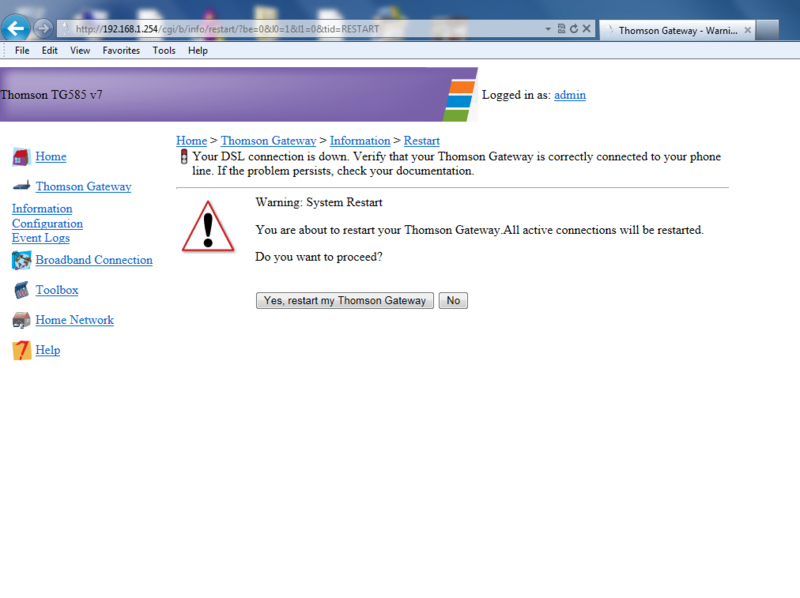 Go to Restart my Thomson Gateway. 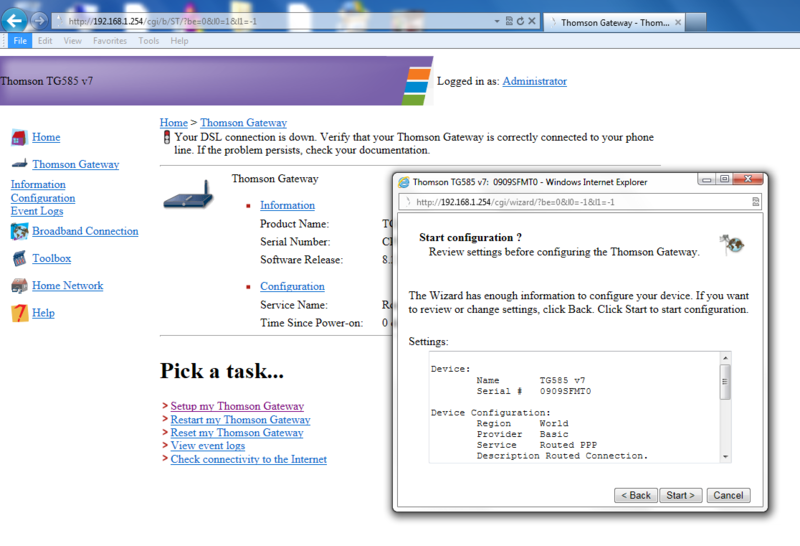 Click Yes I want to Restart my Gateway. 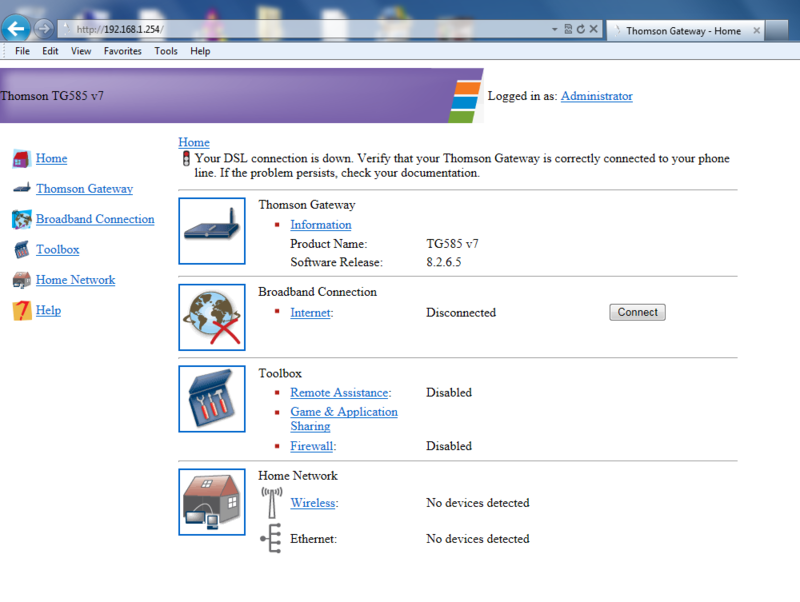 (Be careful no to click Reset my gateway as that will reset the modem to the factory settings).